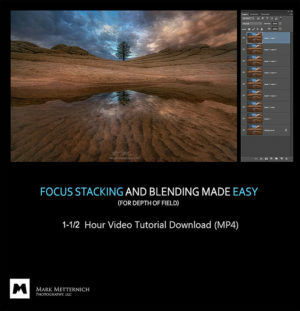 Learning to create beautiful landscape photography might take a lot of time but there are certain steps you can take to make the process easier. 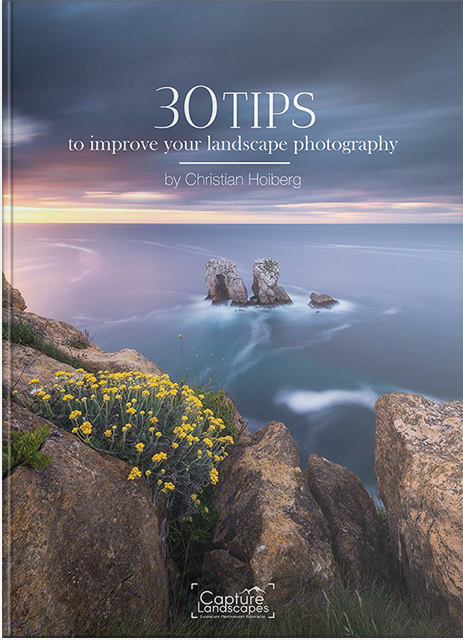 These tips won’t make you a world class landscape photographer over night but they will help you to begin improving and guide you in the right direction. 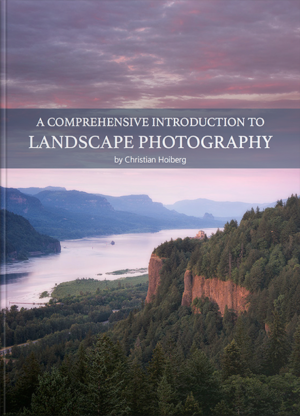 Improving your landscape photography starts with learning and understanding the fundamentals. As with any other craft or skill, having an understanding of the fundamentals is the single most important step to learning. Is it fun? Maybe not. But you will thank yourself for going through the effort in the future. 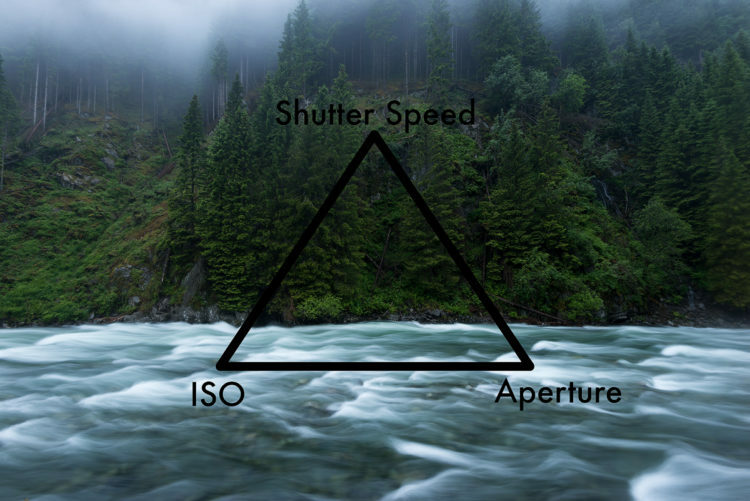 ISO, Aperture and Shutter Speed are the fundamentals of photography that you need to learn. Even though it seems challenging to begin with, I can guarantee that it won’t take too long before you know it like the back of your hand! 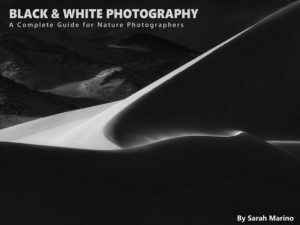 To begin with, I recommend reading through our series Introductions to Fundamentals in Landscape Photography. Let’s put this as simple as possible: the more you practice, the more you’ll learn. This is especially important in the early stages when you’re still learning the basics. Don’t be afraid to bring the camera with you. It doesn’t matter if you don’t see a great shot, take a few images just to get the feel of how ISO, Aperture and Shutter Speed work together. Shooting more often lets you get a better understanding of the camera and you quickly start to see how the different elements work together. 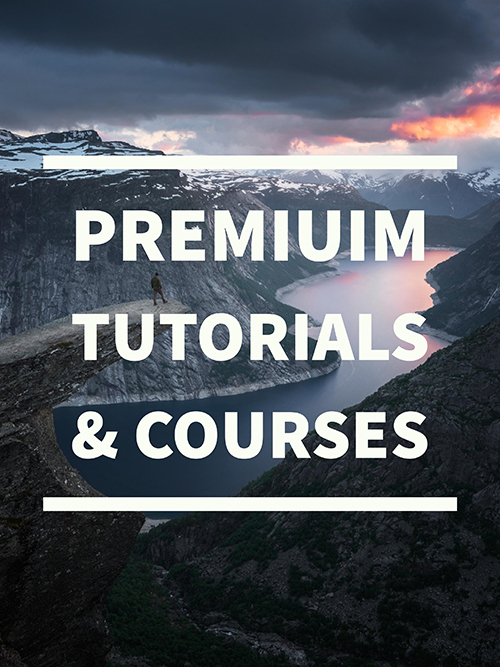 Not only will you learn the fundamentals quicker, you’ll also start seeing improvement in your compositions. Surprisingly often I hear people say “had I only owned a better camera or lens my images would be so much better”. This is 100% bullsh*t! Having a better camera won’t automatically make you a better photographer. In fact, a high end DSLR camera is much more advanced so the possibilities are that you’ll stick to using Automatic Mode. While certain equipment is essential for better images, a camera is a camera. You won’t begin to see big differences before printing large prints or doing certain things such as night photography or use bulb mode. Start spending time photographing rather than complaining about your camera; that’s what will make you improve your landscape photography! 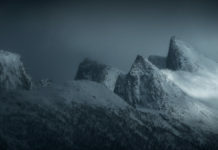 Filters are considered important for landscape photography. It’s true that some techniques (such as long exposure photography) can be achieved without filters but the quality won’t be the same. 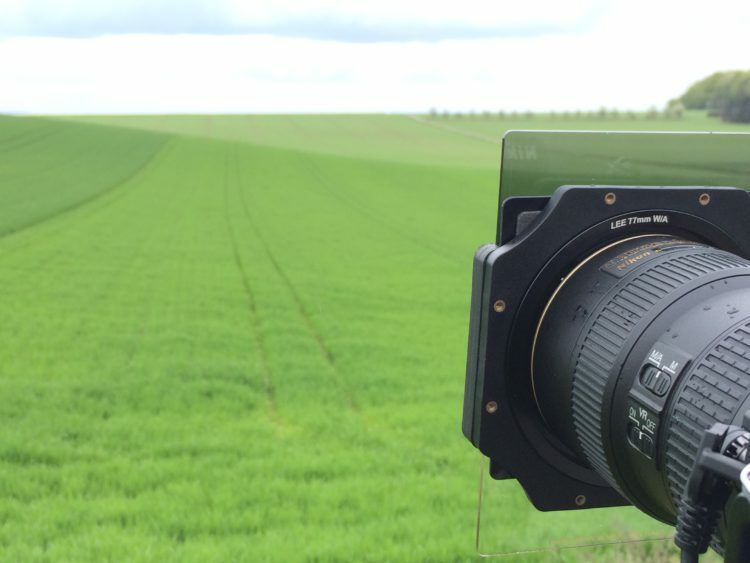 Most landscape photographers won’t leave without their filters as they can be beneficial in the majority of images. The most common filters are Neutral Density Filters, Circular Polarisers and Graduated Neutral Density Filters. UV Filters are also common to use but these won’t make a visual difference on your images. The main purpose of UV Filters is to protect the front element of your lens. The second piece of equipment which should be considered essential for landscape photography is a tripod. Ideally, this should be a solid tripod and not a $20 from the electronic shop. Since landscape photographers often work in harsh conditions or find themselves in weird positions, you want to invest in quality right away. Take this from someone who didn’t invest in quality right away and within months had spent the same amount of money on cheap tripods that he would have spent on something of better quality. 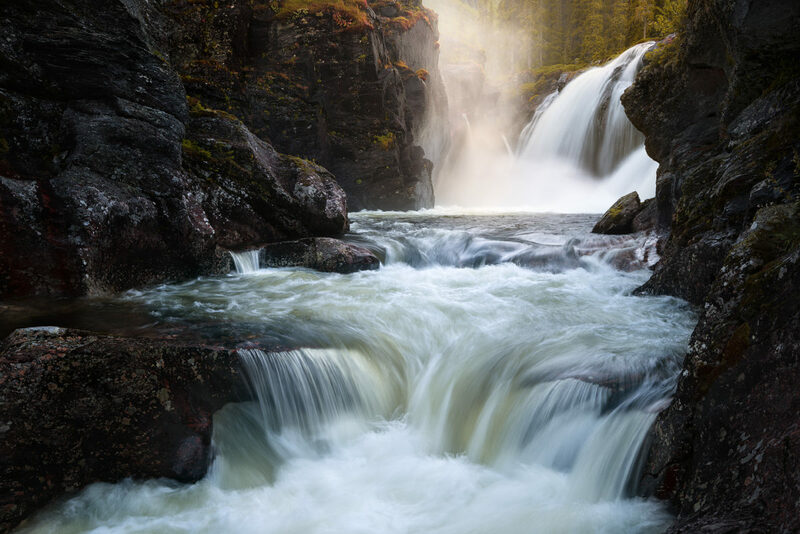 A tripod is essential because you will often be working with shutter speeds that are too long to do hand held (at least if you want to get a sharp image). Even if you’re just getting into photography and you haven’t even started thinking about processing images yet, you will thank me later if you start shooting in RAW today. Yes, these files are much larger than a .JPG and you might need a converter on certain computers but the benefits are so much greater. In simple words a RAW file is an unprocessed file which contains the most amount of information. A .JPG file is processed in the camera and reduced in size. This means that you are able to bring out more details and information from a RAW file without doing any damage to the image itself. 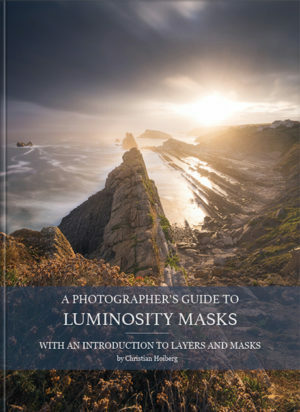 For more information I recommend this article from Digital Photography School. Personally, I’m a self thought photographer. But that doesn’t mean that I never asked for help. One of the greatest parts of todays modern era and social media is how easy it is to find information, either it’s on google, a blog or directly from a person. Take advantage of this! Don’t be afraid to send an email to a photographer you admire, or ask them a question on Facebook. Even though many professionals are busy and might not be able to answer you, it doesn’t hurt to try. To increase the chances of getting a reply show that you’ve already done some research on the topic. Don’t just send an email with “what camera should I buy”? By showing that you’ve already done some research it’s more likely that you will get a better reply. 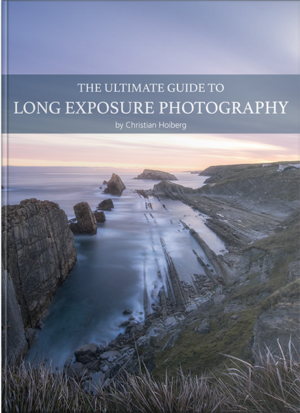 Do you have any questions regarding landscape photography? Leave a comment under one of our articles and we’ll help you out! Once you’ve got a general understanding of the fundamentals I recommend to start using Adobe Lightroom or Photoshop. Many images look great straight out of the camera, which also should be what you work towards, but often small adjustments will take the image one step further. Most of the time small adjustments in tonal balance and contrast will be beneficial. Image processing is a huge topic and there are many different opinions on the subject. Still, the most important is to find a style that you are happy with and stay true to your values. Capturing good compositions are among the biggest difficulties photographers face, both beginners and intermediate. It’s way too often I hear beginners claim that they don’t need to have a good composition because the colors are great or they are using filters. Please, don’t fall into that trap! Mastering composition is something that takes years and years to do, and even compositional experts still work on improving. By starting to study compositions from an early stage you will have a great benefit later on. A good composition alone can make a boring picture stunning. Composition isn’t only important in landscape photography but in all genres of art. Be it photography, paintings or even music. Try going to an art museum and study the composition of the great! Exploring new perspectives is something many forget to do. As soon as we get a tripod we place the camera on it and photograph more or less only from the same height. Doing so will make you miss many good opportunities. I often take my camera off the tripod and explore the area from different heights and angles. I’ll try sitting low and I’ll try standing tall, sometimes I’ll even climb a little around in the search of the right perspective. This let’s me see the scenery from different angles and quite often I find a better perspective than what I saw right away. With the amount of images posted daily on Instagram, Facebook or other platforms, it’s hard not to be influenced when visiting popular locations. Let’s take Iceland as an example. 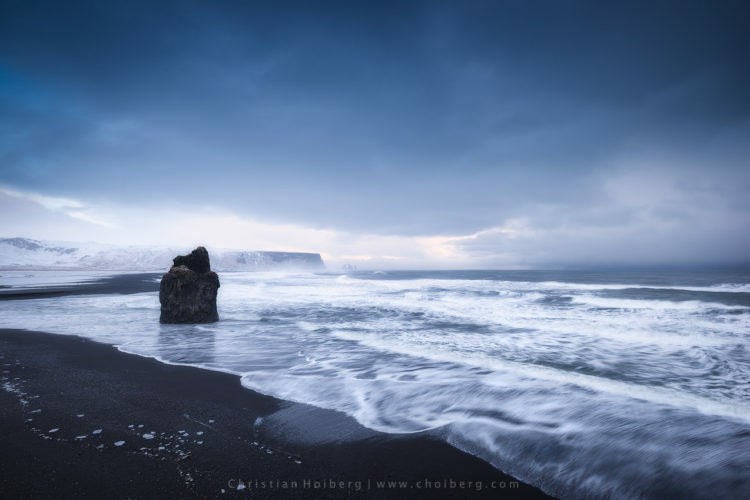 Iceland has quickly grown to become one of the most popular destinations for landscape photography (and it’s not without reason). 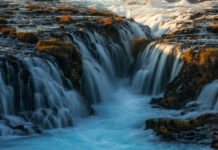 Most likely you’ve seen images of the famous Skogafoss or Geysir before and most likely you wish to see them yourself too. 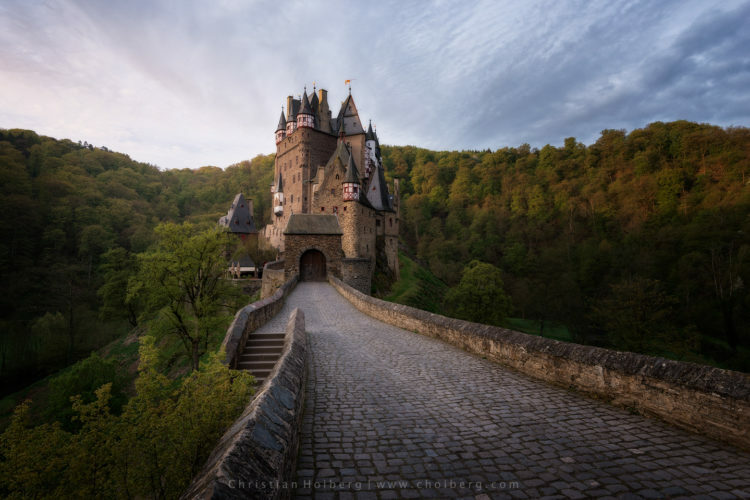 The challenge is when we already have a image planned out when we visit such places. When you’ve seen a beautiful photograph by a photographer you admire, you might want to take a similar image yourself. What I now often see is people setting up in the exact same spot as other photographers. While certain places are limited in compositions, try at least to look for something new. Don’t go to a place just to capture an image you’ve seen before. Where’s the pleasure in that? There’s nothing wrong with having images of popular places, in fact I think most of us do, but as artists we limit ourselves if we only shoot to copy. 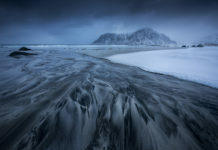 My last tip for great landscape photography is to take advantage of bad weather. I recently did a Portfolio Review here on CaptureLandscapes and the one image that really stood out from the rest was taken during a rainy day. So why don’t we go out to photography when it’s rain or fog? That’s often when some of the best conditions are. Go outside and explore even if the weather is bad! Even if you don’t get a good shot, you’ve at least gotten som fresh air. Snow and strong winds came rolling in but the atmosphere was exciting! Many of my own favorite images are taken during harsh weather when I’m soaking wet or freezing. With that type of weather you often get more exciting images and something different than what most other people have. This is your time to be creative! 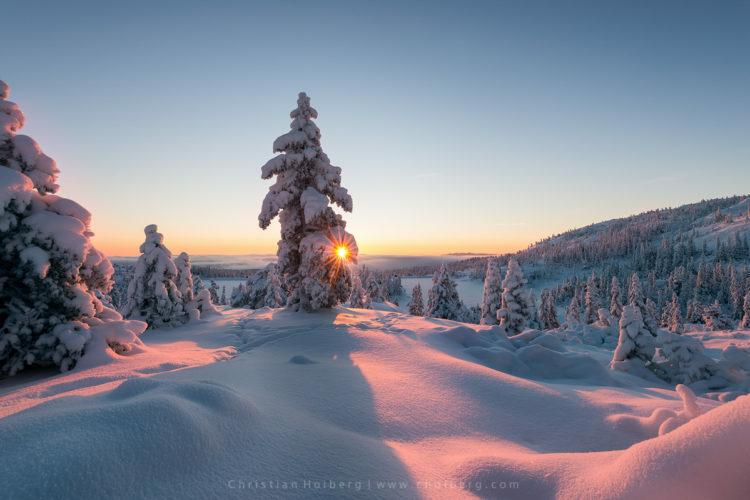 Do you have any good tips on how to capture great landscape photography? Leave a comment below and let us know!